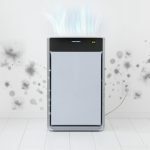 Mammoth Air Purifier Reviews: Which Mammoth Air Purifiers Are the Best? Trying to differentiate one air purifier from another can be confusing. In most cases, these devices use the same technology to trap dirt and pollen. Their designs and prices, on the other hand, are almost the same. And due to this, relying on friends for referrals and trusted Internet resources are usually the ideal places to learn about good air purifiers. However, without in-depth knowledge of what each brand offers, you might end up settling for the wrong device. Read the following Mammoth air purifier reviews and know why these devices are what you are probably looking for. 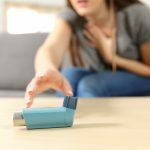 Also, read along to learn about the unique passive and active filtration mechanisms that make Mammoth air purifiers standout from the rest. 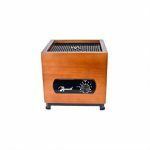 And if you also love classic designs, stick with me in the next few minutes to know which Mammoth air purifiers have the best designs and a great reputation for being high performers. The Mammoth classic is simple in design but very impressive in performance. 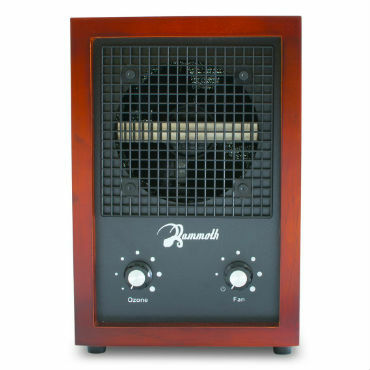 Actually, it is one of the very rare classically designed air purifiers that top many reviews. It is a complete package with its five stage filtration system, efficient ability to eliminate odors and VOC gas fumes as well and a highly affordable price tag. The Mammoth resembles a classic entertainment device both in its rectangular shape and brown colors. On the inside, the Mammoth Alpine is built with an incredible dual ozone 5 stage filtration mechanism and an ionization mechanism for more efficiency. Its control panel, on the other hand, is simply designed and easy to use. 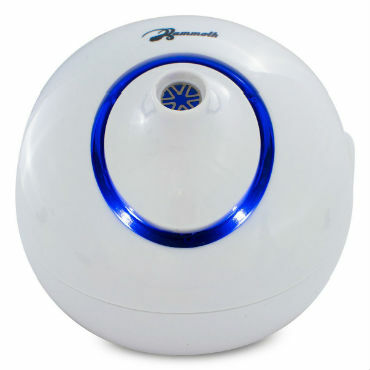 In other words, this air purifier is built to be placed in almost any part of the house or office. With a true HEPA filter and a dual point negatively charged ionization mechanism, this air purifier promises one of the best cleaning abilities in any medium sized room. 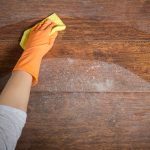 Its five stage filtration mechanism starts at the pre-filter stage, where bigger dust particles and pollen are trapped before reaching the HEPA filters. 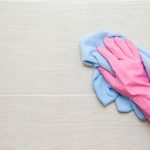 The HEPA filter, on the other hand, eliminates about 99.97% of all bacteria, dirt, mold and pet dander that may be still roaming in your house. Still, the Mammoth Classic makes use of a carbon filter and a photocatalytic filter to eliminate even the minutest molecules contaminating the air. The use of a carbon filter is especially efficient at neutralizing odor and smoke particles. On another note, a germicidal ultraviolet lamp traps and kills bacteria and other disease causing organelles in your room. 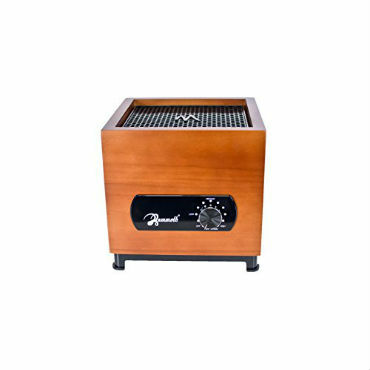 The Classic Alpine is RATHER reputable at eliminating odors and smoke smells from your house. It, in fact, replaces the bad smell with a fresh layer of Alpine smelling feel. The Mammoth XCTM is a meticulous air device that can efficiently defend your air space against any form of dust, pollen or odor pollution. 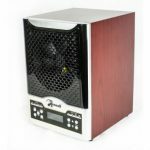 It is a next level device with a classic design and great reputation among Mammoth air purifier reviews. And as you will see below, this air purifier has all the features you would love and appreciate. The Mammoth XCTM looks like a classic entertainment device with its brown color, general appearance, and fan placement, but it is amazingly efficient at its job. It also has an LCD screen to help you program and monitor its performance three different types of filters placed one after the other and a light weight to make it portable and convenient. It is one of the most efficient air purifiers you can get at the moment if its features are anything to go by. To start with, the air purifier is fitted with a true HEPA filter that guarantees 99.97% efficiency while cleaning out pet dander, pollen and dirt particles from your house. On the other hand, the air purifier has a carbon filter for effective smoke and VOC fumes’ elimination. Still Mammoth took extra measures to make the device even greater in performance. For instance, it is fitted with a photocatalytic function that helps shred viruses and bacteria apart. While a HEPA filter may be effective, it doesn’t offer any protection against the air that does not go through the purifier. 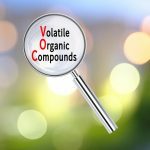 The use of an ionizer and ozone, therefore, helps trap dirt molecules roaming in the air and thus keeping your air space fresh and free from any unwanted pollutants. 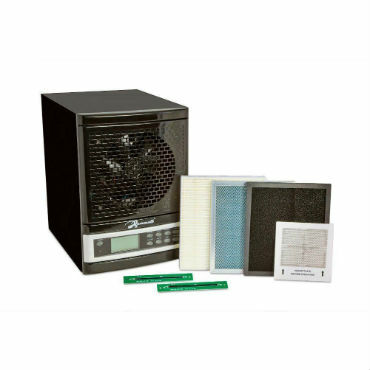 This air purifier features a digital LCD display that is easy to control and an extra powerful 180CFM fan. In general, the device is a quiet performer and requires little maintenance costs. The Mammoth 1000 home series is probably the cheapest air purifier with a 7 stage filtration mechanism and still ranks high in air purifier reviews. The device features almost every great technology for cleaning the air you can desire. However, it might not be as good looking as some other top models are. The air purifier is medium in size and relatively light but has quite a number of technologies that make it a great device. It is fitted with three different filters and a couple of other technologies which all ensure you forever get clean and fresh air in your home. Standing on a sturdy and solid construction, the Mammoth 1000 home series features a series of filtration mechanisms. To start with, it has a pre-filter that helps trap the larger sized dirt and pollen particles. The pre-filter also aims at protecting the HEPA filter against quick wear. On the other hand, the device uses the immensely efficient HEPA filter to trap and capture virtually 99% of all pet dander, dirt, and pollen passing through the air filter. And since it can be washed, note that you could live with the HEPA filter for many months before replacing it. The third stage in the device’s filtration mechanism involves the use of a carbon filter to trap and neutralize smoke. The device’s use of a photocatalytic function and ionizers as final stages of the filtration mechanism guarantees that you have an almost 100% air clean house. Since it uses the best air filtration mechanism, the Mammoth 1000 home series air purifiers are some of the most reliable devices priced under $100. Its accessories and filters are also easy to clean and find when you need to replace them. The Mammoth air purifier Q3 has all the character traits of a great device. It is beautiful, energy efficient, reliable, inexpensive and efficient in performers. It also looks irresistible with its great peripherals. However, its minimalist design doesn’t help very much to someone with a medium sized or big house as you are about to see. The Q3 has a charming design by all means. It is small and resembles a mini guitar with its well-crafted edges and control panel. It has dimensions measuring 8*8*8 and a weight of 5 pounds; thus making it an easy to carry device. In general, every part of the air purifier looks well thought and designed. It doesn’t have complicated features, however. Even its control panel consists of a simple knob and a fan speed control function. Other than that, the device’s strengths lie in its performance. At a cost of less than $60, the air purifier performs satisfactorily. Its pre-filters and carbon filters are very good at trapping dirt and eliminating odors, but only if placed in a small sized room. On the other hand, its HEPA filter is strong and efficient enough to capture all pollen, pet dander and dust found in a medium or small sized room. Still, the low priced air purifier also uses ionizers and UV- lamp to kill and neutralize bacteria and viruses present in your house. But still it is not very effective when placed in bigger rooms; the best places to place his device would be in a small bedroom, office or near a dog’s litter box. The device’s control panel allows you to adjust the fans speed to your convenience. Note however that you might experience loud noises when the air purifier is set on the high fan speed level. The air purifier mini is a really stylish and likable air purifier. First of all, it uses no filters and as such requires little in maintenance costs. Its general design is also very impressive, and the white color that graces it could add elegance to whichever room your places it. But like with most low priced devices, the mammoth air purifier mini is not perfect. The air purifier scores very highly when it comes to designing. It is elegant with its semi-circular design, beautiful especially when the blue light indicator illuminates at night and very easy to use. Its control panel is simple and strategically placed on the other hand, plus it is very light given it only weighs 6.4 ounces. With its minimalist design and construction, the Mammoth air purifier mini seems to only fit small and medium sized rooms. Actually, the ionizer using device performs very efficiently in 30-100 sq ft sized rooms but will start to falter if placed in larger sized rooms. All the same, the air purifier eliminates almost 97% of viruses, bacteria, mold, mildew and all other unpleasant particles when both its ozone and ionizing mechanisms are functional. Note however that its ozone is harmless, given that it is produced in very little amounts. Basically, you don’t need to rely on the purifier’s control panel. It is a plug and play device, and you only reach out to the panel when you wish to dim the mood light at night. Otherwise, the device is very quiet as it has no fans or filters. It is also designed for small room usage, which explains why it lacks complicated convenience features such as an air quality function. The air purifier is one of the most energy efficient air purifiers, as the technology it relies on, rarely depend on power. Also, the air purifier comes with a one year warranty. As you may have noted from the above Mammoth air purifier reviews, a good air purifier is one which holds its strength in great efficiency and reliable technologies. The above air purifiers, for instance, are all good performers and their great designs only compliment their primary purposes. People looking for an air purifier to help fight pet dander, dirt or smoke can now make a more informed decision when buying an air purifier, especially when you consider that Mammoth devices hold these peripherals.